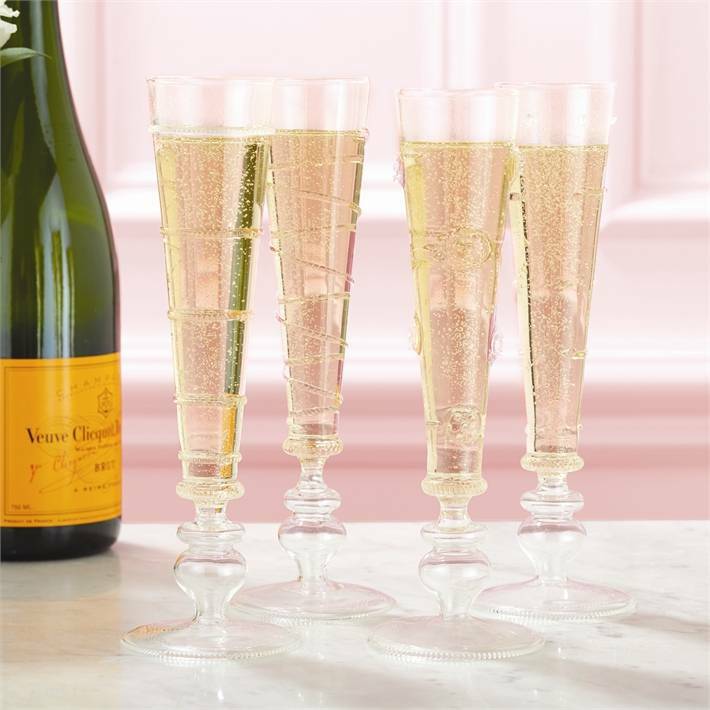 Verre Champagne Flute. Assorted 4 Designs: Flower, Spiral, Dots, Rings . 4 oz. - hand wash only. Hand-Blown Glass.